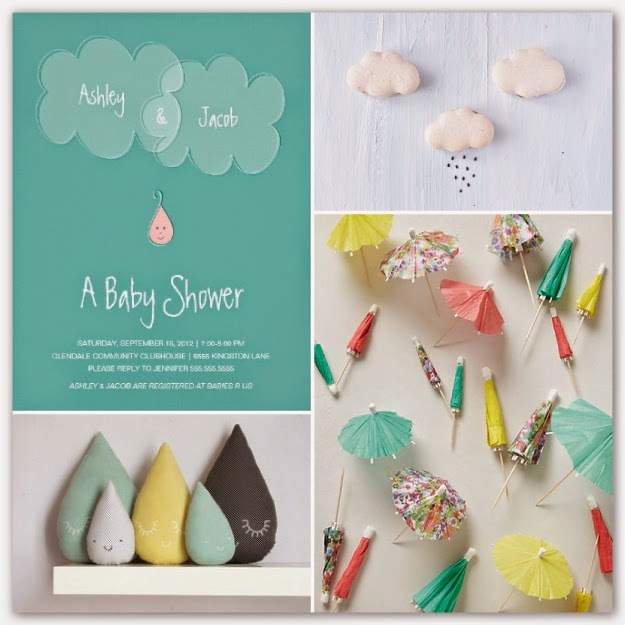 This week, I enjoyed curating inspiration for a couple's baby shower to go with my Droplet Baby Shower Invitation, also available in gray/blue and for twins and triplets through the knotesLLC Zazzle store. I just adore those sweet raindrop pillows!! !